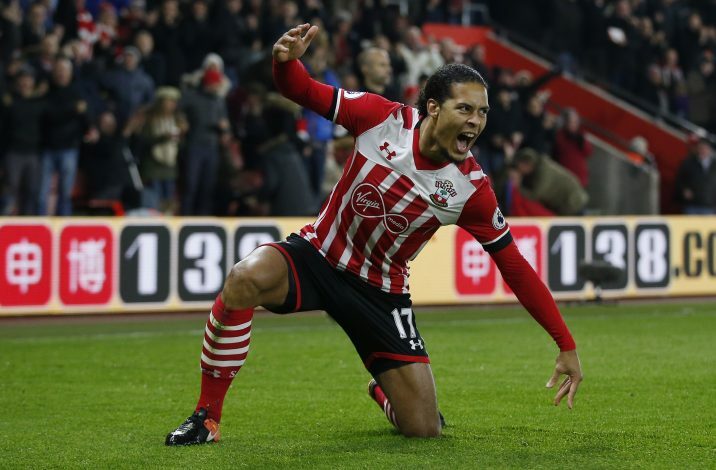 Chelsea are reportedly confident that they have already beaten off competition from rivals Manchester City to secure the deal for Southampton star Virgil van Dijk. The Dutchman has long been targeted by Premier League big boys following his consistent rock-solid displays at the back for Southampton this season, with Liverpool and Everton also among his big admirers. However, latest reports suggest Chelsea think they’ve won this transfer battle, as they are keen to complete a £50 million deal for Van Dijk in the summer, according to the Daily Mirror. Southampton are still insisting he won’t be sold, but with the big clubs set to come knocking this summer, they will be unlikely to keep hold of him. Antonio Conte is eager to strengthen his defense ahead of next season, despite the impressive form of David Luiz, Gary Cahill and Cesar Azpilicueta in his backline. Chelsea will require more depth next season as they are on the brink of the likely departure of John Terry, while Champions League football is also heading back to Stamford Bridge next term. Van Dijk seems a perfect addition to the league leaders, having proven himself to be one of the best centre-backs in the country since his arrival from Celtic in 2015. And Southampton teammate Dusan Tadic has insisted that the Dutch defender can achieve anything he wants in the game, as long as he stays calm during his recovery from injury and wait for suitable offers. Van Dijk is now working hard to return to full fitness. He was doing impressively well in the Premier League before the serious knee problem he sustained against Leicester City on January 22.